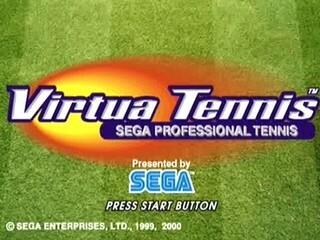 Released in 1999, Virtua Tennis was made for all those people who couldn't be good enough in tennis to play right at home on their couch. Players could choose any number of real tennis players, and two unrealistic unlockable players, and make their way through an arcade and campaign gamemodes. On harder difficulties you could be playing for two hours the same level and not be done. Just like real tennis. Best Eurpoean version Arcade mode time: Single-segment 0:05:31 by 'ike6252' on 2013-07-22. Best European version World Circuit: Single-segment 2:03:33 by 'ike6252' on 2013-07-22. European version Arcade mode 0:05:31 by 'ike6252'. European version World circuit: 2:03:33 by 'ike6252'.